1999 Prelude 136000miles Oil Problem Burning, Leaking or Both? I have a 1999 Base Prelude Manual Transmission bought it brand new . I have always been on top of oil changes and normal maintenance, however just recently I have noticed I am going thru oil fairly quick about half or 3/4 of a quart a month. I have notice some oil on the floor of my garage but also I have noticed my muffler getting dirty (black dust). Again just to restate I have done just normal maintenance nothing major so I would like to know how to figure out what the problem might be in regards to the oil and the dirty muffler. This weekend is a planned oil change along with oil filter, air filter and possibly fuel filter. During this I hope to see if there are some oil stains I could see that would point me to the possible leak hopefully just a loose drain nut, oil filter, or oil pan bolt. However what has me worried is the black dust accumulating on my muffler. Just from reading online I might be running lean but I believe there maybe more to this problem and more work to get the solution. Any advice from previous experience or any knowledge would be welcomed, my thoughts would be the oil burning/leaking problem maybe linked to the black dust accumulating in my muffler but again I have very little experience. Also I do see a grayish smoke occasionally coming out of my muffler. Re: 1999 Prelude 136000miles Oil Problem Burning, Leaking or Both? 3/4 of a quart in a month? Thats not really a big problem, mine goes through more than that. Anyway if you notice oil on your floor, look up. You're prolly leaking a bit somewhere. These cars are known for burning oil, and there are multiple places and componets that end up leaking oil. I was just about going through a whole quart in a Week, till I fixed most of the oil leaks, wich were the oil pan, the valve cover gasket, the distributor o ring, both cam seals-(were both leaking bad! ), oil pump seal, crank seal, matinance bolt seal on back of block and the dip stick tube o ring. Now that I replaced all those parts, my car dosn't go through Any oil. Dip stick reads all the way at the top 3500 miles after I changed the oil. Its prob more than one thing that is leaking. But it could be burning oil too! you just have to look and see where it is wet. If its too wet to tell where it is coming from, you should clean it all off perfect then drive it for a little bit and check again. Mine didn't leak sht, then I had to pull off the oil filter to change a vacuum leak and I just put the old oil filter back on....and now it leaks a bit again, from the filter. Buuuut its not so bad to the point where I can't just let it go til I decide to change the filter again. The 3/4 of oil burning is pretty much normal. Like stated above that since you notice a leak that you should prob jack the car up and find the issue before you have your own personal BP issue on your garage!!! You there sir are a victim of VTEC!! A common issue when passin the infamous 5400RPM!!! There is a side affect to that which is the neck whiplashing backwards to the headrest!!! my 1995 H22 prelude loses oil too. Not too sure about how much, But I have 210psi compression in all cylinders so it cant lose oil throught the pistons. and It doesnt drip oil so its the valve seals, check your compression. 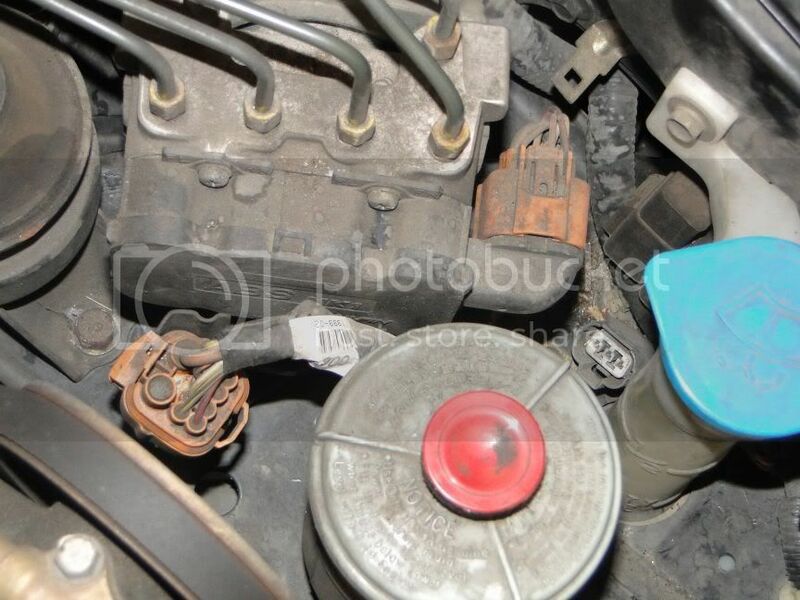 look under your engine everywhere, if it all clean then most likely its the valve seals. The noise I think maybe due to the values since the sound can be heard better when above the engine. Again I am no where close to 100% sure since this is all based on what I have been reading from other owners experience. I will probably get estimates with a couple of mechanics around this area to hopefully get some idea of the source of the noise. I would like to get some ideas before I go though . Anyone notice this on their preludes? I wonder what it should be connected to, I would like to get an idea of what it is for but I am sure there is someone here that has an idea. Alright in regards to the leaking oil. There was the normal dirt every where under neath the oil pan but no unusual oil build up. I did notice there was allot of oil? (possibly transmission fluid but I am almost certain it is oil) dripping off of the transmission housing. I cleaned it and I will be checking it out again when I change my brake pads and discs. Anyone know why oil would be dripping off the transmission housing?